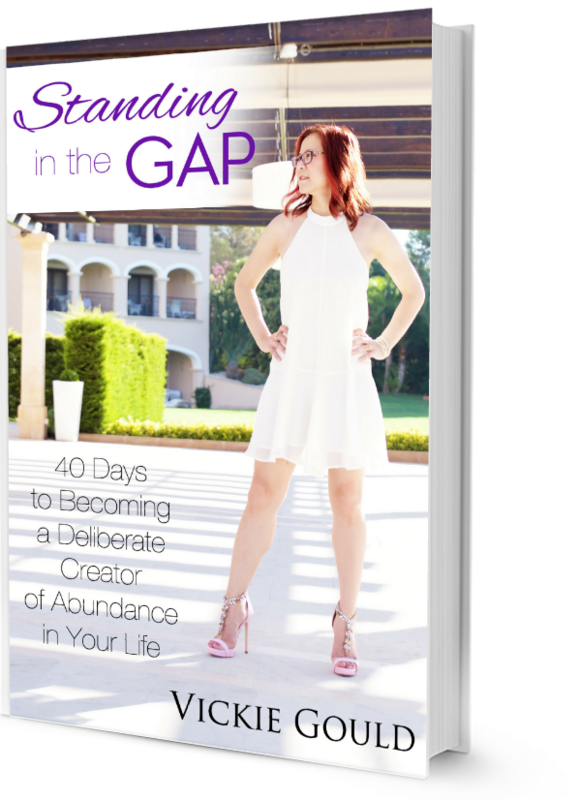 I wrote my Best Selling Book, "Standing in the Gap - 40 Days to Becoming a Deliberate Creator of Abundance in Your Life" so you could learn how you could attract your heart’s desires easily (without crazy hustle or overwhelm). Abundance is out there, just waiting for you to go get it, and I want to show you how in my ebook. The "cost" of this book is just $5.35 and I'll send the download immediately to your inbox. Standing in the Gap is set up with a prep, 4 chapter lessons and a bonus, 40 days of journal prompts and mediation time along with a gratitude section. You’ll find out the 6 complete steps to the Law of Attraction (most people miss or don’t know half of them). People who have used my book have been able to …. What would you like to DELIBERATELY CREATE in the next 40 days? Grab my book for just $5.35 and I’ll send you the book right away so you can start today! Listen…. Those desires you have? They can be yours. You just need to understand how to get The Universe to hear you and deliver it. You'll find out exactly how in Standing in the Gap. Click the button to grab your copy now!